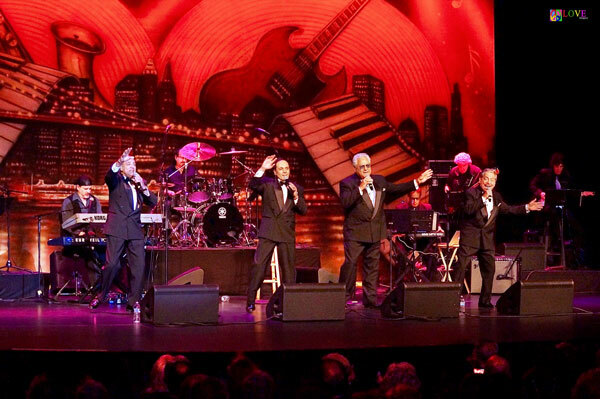 The auditorium is packed and the stage is set this Thursday, March 1, 2018 evening for a night of nostalgic “oldies but goodies” at producer Joseph Mirrione’s latest Pop, Rock and Doo Wopp show at the historic Strand Theater in Lakewood, NJ! 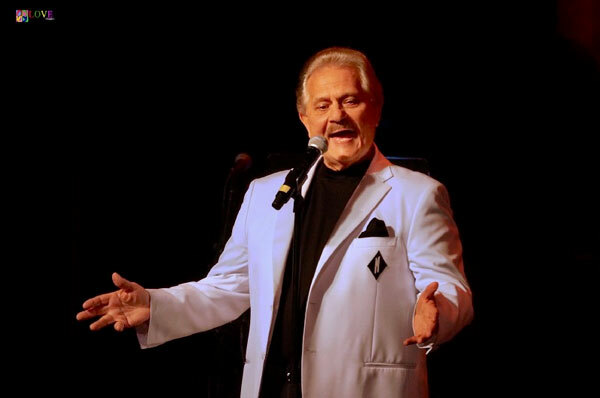 Emcee Emil Stucchio welcomes the sold-out crowd to tonight’s performance saying, “Let’s take a time machine back to the music of the ’50s and ’60s” with a line-up featuring nine classic performers including The Reflections, The Charts, The Devotions, Stan Zizka and the Del Satins, Little Caesar, The Mello-Kings, The Mystics, Vito Picone and the Elegants, and The Duprees! Revealing tonight’s first act still has “its original bass singer, Ray Sanchez,” Stucchio introduces The Devotions. They start the audience off on tonight’s trip down memory lane with “A Sunday Kind of Love,” a song which features classic “doo-wop” background harmonies. Next, the group segues into 1961’s “Sentimental Reasons,” the Devotions stepping and snapping in time to the music. “Thanks! God bless you!” says Sanchez, before the Devotions perform their biggest hit, “Rip Van Winkle.” The audience claps along to this snappy number which features tight vocal harmonies and even some Rip Van Winkle-like snoring! 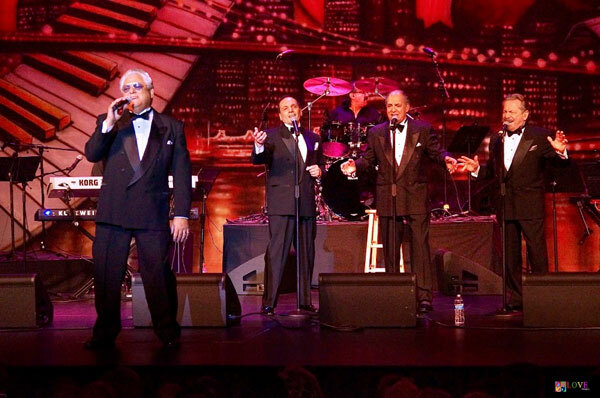 Opening with a rollicking rendition of “Dance Girl,” the singers delight the crowd with their lively vocal stylings. 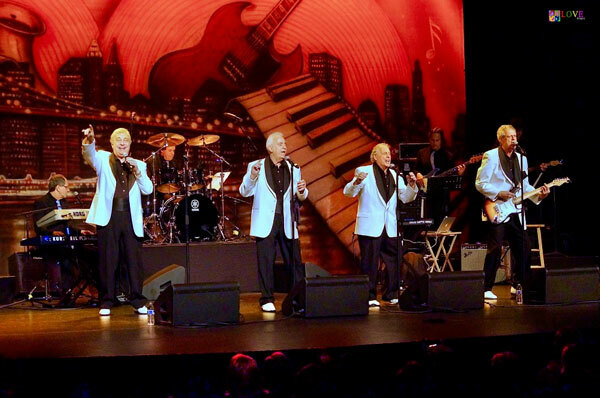 The Charts follow that up with the slow doo-wop sound of their 1957 hit, “Desiree,” featuring lead singer, Joe Grier. 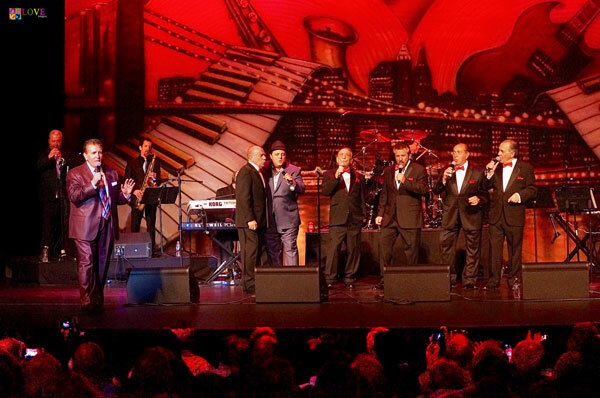 As Grier and the group perform, they transport this audience composed of many of America’s “greatest generation” back six decades to a simpler day and time. The next group to grace the stage is The Reflections, a combo which Stucchio reveals comes from Detriot. 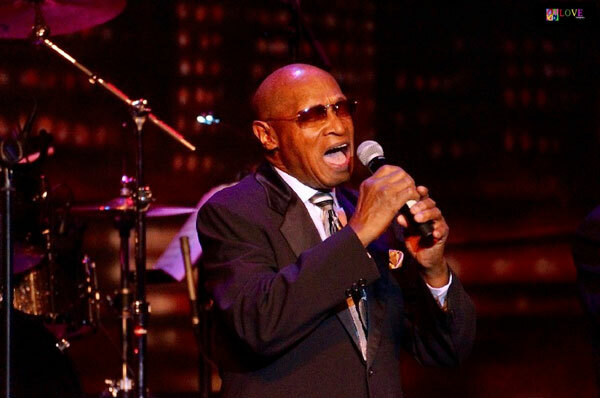 Featuring original lead singer Tony Micale, the group energetically opens singing The Marvelow’s “I Do,” and they follow that up with Jackie Wilson’s “To Be Loved,” a number which features powerful background harmonies and terrific accompaniment from the Pop, Rock and Doo Wopp backup band. Lastly, the group performs a tune which, they reveal, “sold four and a half million records” — “Just Like Romeo and Juliet,” a bouncy ditty with style and energy that the audience loves! 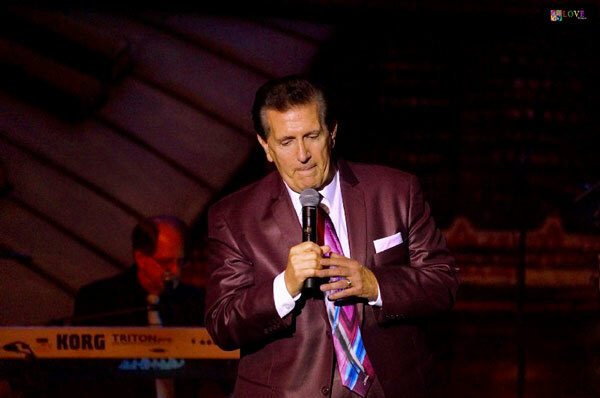 Introducing Stan Zizka and the Del Satins, Zizka and the group open with their enthusiastic rendition of “Runaround Sue.” As Zizka deftly handles the lead vocal, the audience happily sings along with him on the famous “She goes out with other guys” lyric. “Welcome, New Jersey!” says Zizka to the crowd. “Here’s a song by one of our favorite groups, The Flamingos.” Launching into the lovely ballad, “Till the End of Time,” both band members and audience members sway to the music. 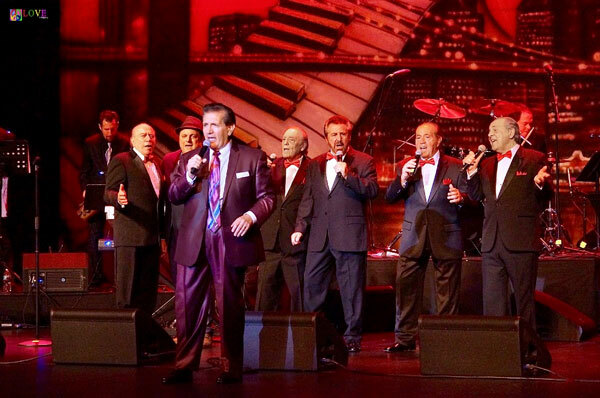 Revealing, “We had a hit with this next song back in 1961 or ’62,” Zizka and the Del Satins perform their up-tempo hit, “Teardrops Follow Me.” This number features Zizka’s lead vocal, authentic “doo wop” background harmonies, and a high background vocal descant. 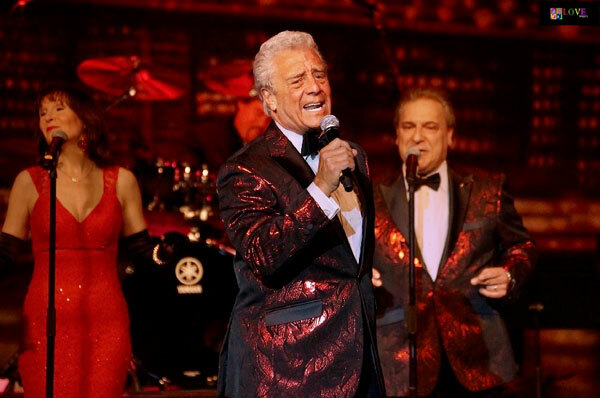 “WCBS-FM radio always ranks this next group as one of the Top 5 oldies artists for their song, ‘Tonight, Tonight,’” announces Stucchio before introducing the Mello-Kings. The group opens by singing the up-tempo “Whose that Knocking on my Door,” a tune which not only features “boom-boom” and “bang-bang” background vocals but a screamin’ sax solo as well. 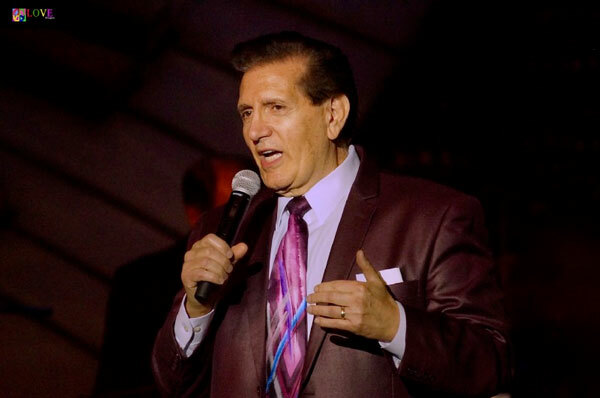 The audience reacts with avid applause for the Mellow-Kings before Stucchio retakes the stage to comment, “This is my favorite part of the show.” Here, he recounts how — as a young man — a group of older harmony singers from his Brooklyn neighborhood helped him to get his own recording contract. 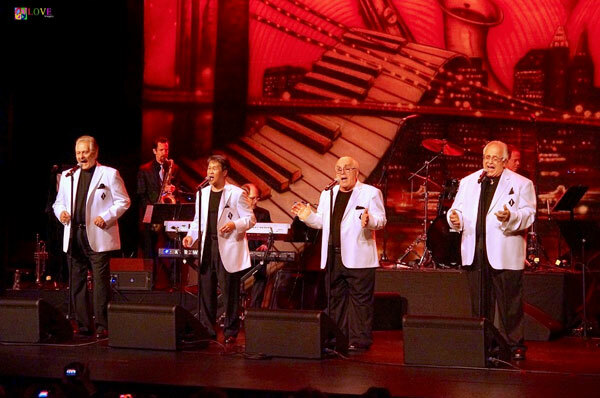 Announcing, “Here are the five original guys who sang ‘Hushabye’ in 1959,” Stucchio introduces the very same musicians who helped launch his career so long ago — The Mystics — all five men performing together again for only the second time in fifty years! 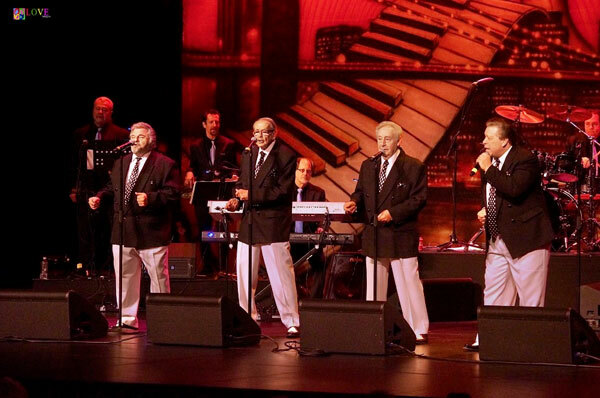 Opening with “Don’t Take the Stars,” audience members tap their toes to the group’s nostalgic happy sounds! Moving onto their biggest smash, “Hushabye,” the group performs in glorious five-part harmony complete with a soaring high descant! 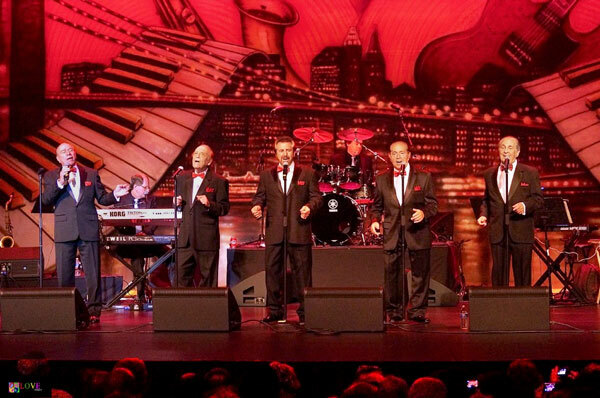 Transcending time, the men give the audience chills with their powerful and memorable sound, inspiring audience members to cheer on their feet! Still somewhat emotional after singing with his teenage neighborhood idols, Stucchio takes a moment to reflect. 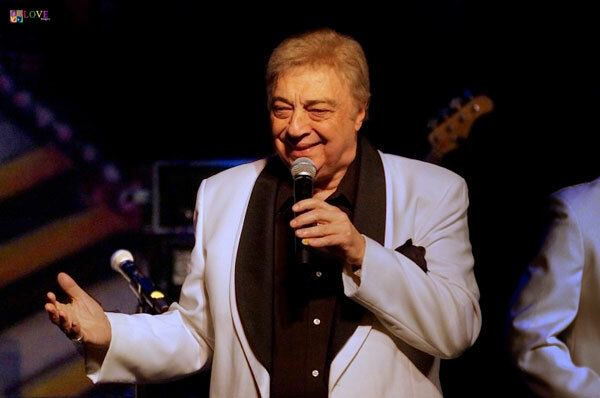 Then, he introduces a group which he calls “the #1 R&B and Pop act from 1958 — a group from Staten Island, NY,” Vito Picone and The Elegants. 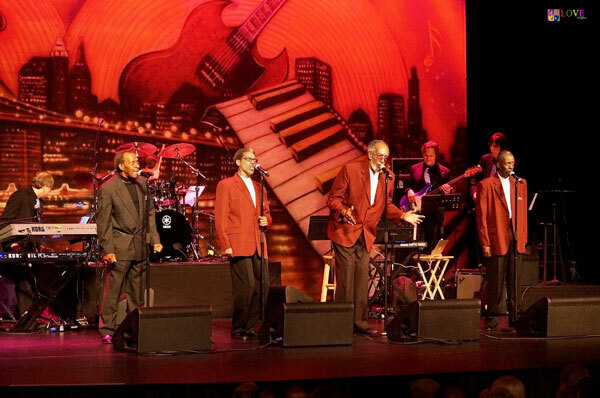 Hitting the stage rockin’, the group performs a lively rendition of The Coasters’ “Poison Ivy,” the audience singing along as they bop in their seats! 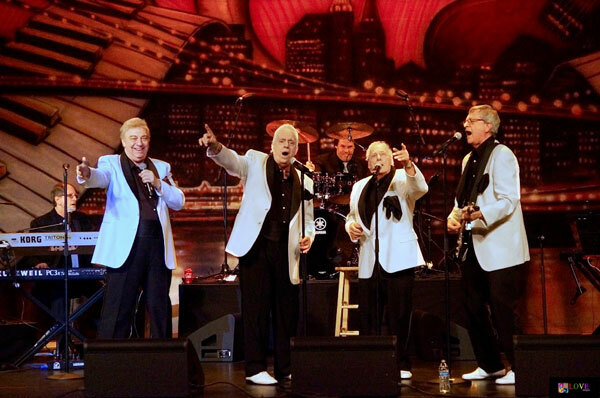 Stating, “We’d like to dedicate this next song to Buddy Holly,” Picone and the group perform their rendition of Holly’s “Everyday.” The audience sways to the music until it ends with the group segueing into the famous chorus of Don McLean’s “American Pie” as a final coda. Accompanied at first by two electric guitars, the entire band makes a dramatic impact when they all enter playing at the end! Following huge applause, Stucchio introduces the final act on tonight’s bill — a group which he says “had twelve charting records” and whom he calls “the ambassadors of love songs” — The Duprees. 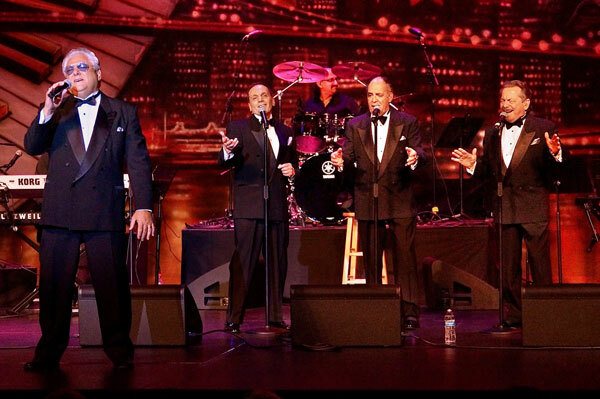 Opening their portion of the show with “Have You Heard,” the current members of this well-known quartet — Tony Testa, Phil Granito, Jimmy Spinelli, and Tommy Petillo — demonstrate their ability to perform beautiful four-part harmonies together. “We are so delighted to be here!” says Testa before adding, “The songs we sing bring us back to where we were fifty or sixty years ago. 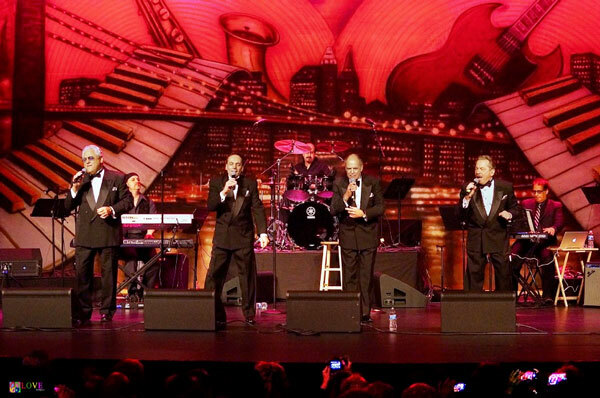 See if that happens to you on this next song.” Here, the group performs “Why Don’t You Believe Me,” all four men singing and swaying to the music. 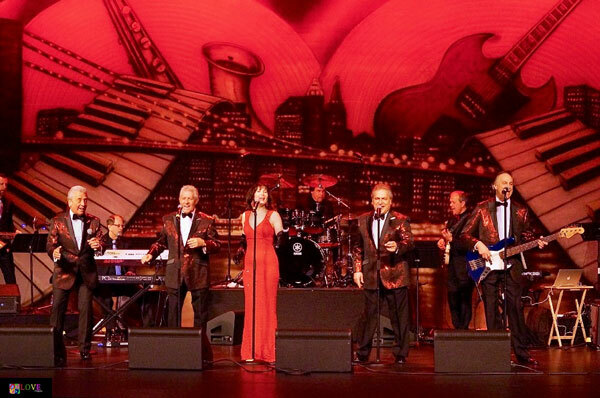 Moving on to “a Bobby Darin classic, done Duprees-style,” The Duprees perform a swingin’ arrangement of “The Sand and the Sea” — a smooth ballad which features lush background harmonies. After revealing, “We cherished every single moment when we were singing on a street corner, but we never realized — fifty or sixty years later — we’d be doing it as a profession!” Testa and the group perform a poignant rendition of “What I Did For Love” from Broadway’s A Chorus Line. 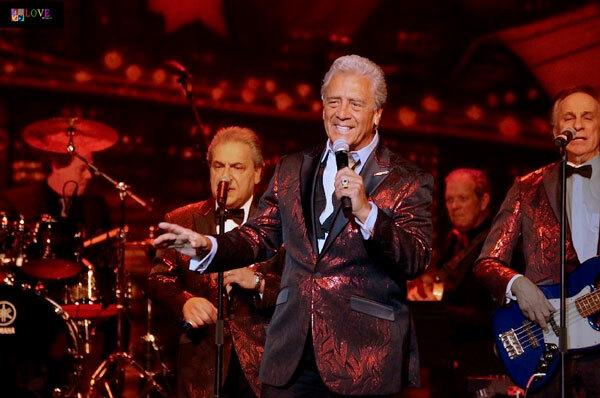 They follow that up with Duprees’ member Phil Granito who is featured on a wild medley of Jackie Wilson songs — an electrifying performance which the audience finds utterly enjoyable! For I love those memories that I, I recall. For information on future Pop, Rock and Doo Wopp concerts, please go to poprockdoowopp.com. 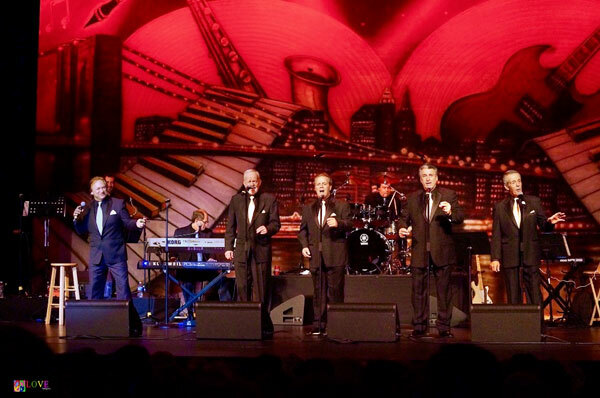 To learn more about upcoming concerts at The Strand — including The Lettermen on Mar. 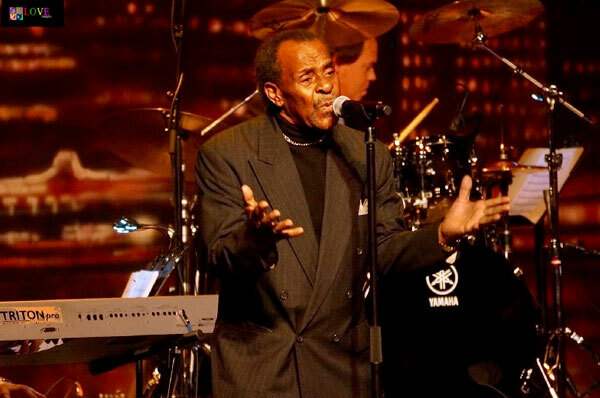 10; Tavaris with Harold Melvin & the Blue Notes on Apr. 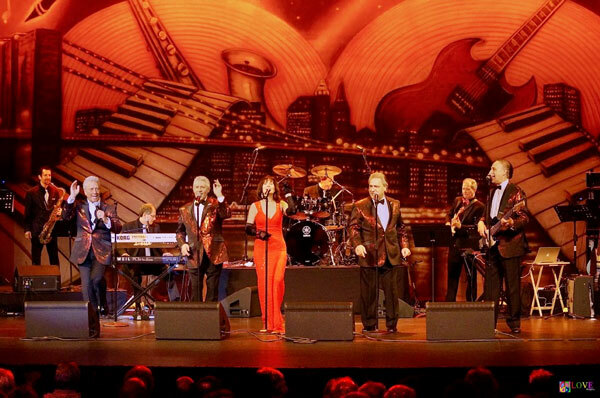 13; and The Grass Roots, Paul Revere’s Raiders, and The 1910 Fruitgum Co. on Apr. 28 — please go to strand.org.